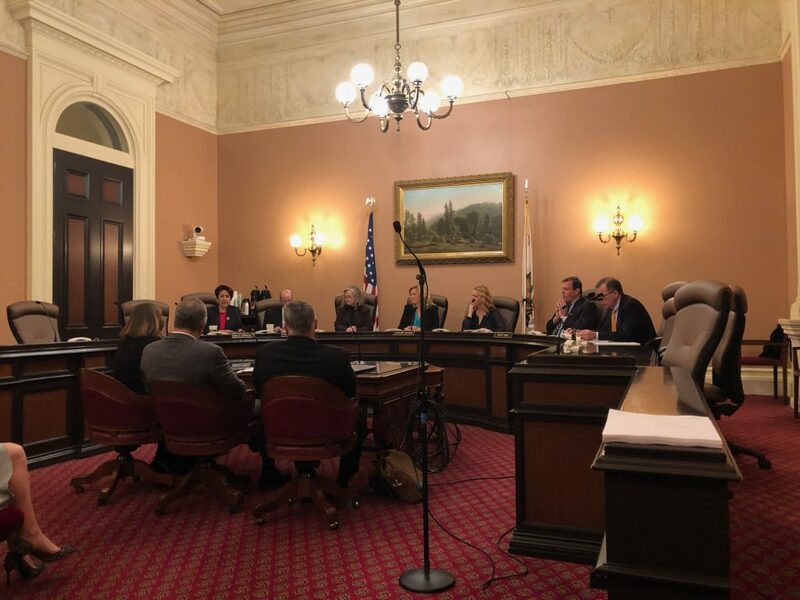 On March 19, Roger Cornwell, General Manager of River Garden Farms, testified before the California State Senate Agriculture Committee in support of Senate Bill 253. SB 253 is authored by Senator Bill Dodd (Napa), whose district includes portions of the Sacramento Valley. NCWA supports SB 253, which will create a framework for the California Department of Food and Agriculture to provide voluntary incentives and technical assistance for farmers to adopt practices that help wildlife and the environment through a new Environmental Farming Incentive Program. SB 253 will also help advance the valuable partnerships among farmers and ranchers, water suppliers, conservation organizations, and state and federal agencies that are essential to supporting these actions that benefit both the economy and the environment. In his testimony—provided in full below—Mr. 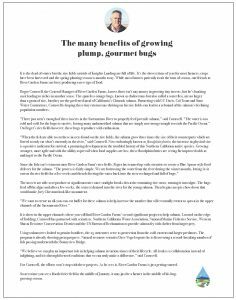 Cornwell described the work of River Garden Farms to explore new ways to enhance fish and wildlife habitat while maintaining a high-level of efficiency and productivity, as well as the opportunities that SB 253 will help expand to more farms. Good morning Madam Chair and Members, and thank you for the opportunity to testify in support of SB 253. My name is Roger Cornwell and I am the General Manager of River Garden Farms. River Garden Farms manages 15,000 acres of corn, walnuts, rice, alfalfa, sunflowers, safflower and wheat on the west side of the Sacramento River in Yolo and Colusa Counties. River Garden Farms has been family owned and operated since 1964, and our second- and third- generation owners are dedicated to progressive farming and being an integral part of our local community. On the farm, there has been a long-standing commitment to manage resources and make significant investments for ecosystem improvements—both fish and wildlife. As a result, we have direct experience with the types of actions that this bill would incentivize and promote. First, our farm has participated in The Nature Conservancy’s BirdReturns program to help optimize the water bird habitat benefits of our seasonally-flooded rice fields. In addition to decomposing rice straw to prepare the fields for the next year’s planting, this practice provides critical habitat for migrating birds. 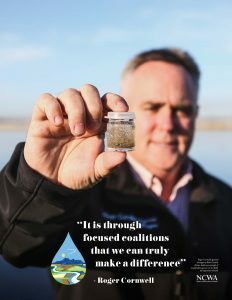 Second, we are currently partnering with California Trout, UC Davis, and others to demonstrate the ability of flooded rice fields to grow fish food—zooplankton and other bugs, or what we like to call “floating filets”—that can then be reintroduced into the Sacramento River for the benefit of Chinook salmon and the wider food web. River Garden Farms is unique—with a supportive partnership group and the size to take on these actions at scale, we are able to help explore new ways to enhance fish and wildlife habitat. But we are always aware of the fact that we are competing in a global economy and need to maintain a high-level of efficiency and productivity. SB 253 will create a framework at the state level that will help promote actions that can benefit our economy and the environment, as well as streamline incentives so that all farmers can consider similar opportunities. I respectfully ask for your support for this measure. Thank you for your time, and I’d be happy to answer any questions.